Many homes have a spare room these days, but unfortunately most homeowners don’t tend to make the most of them. This valuable space is often ignored and used rarely when friends or family come to stay. With a carefully thought-out layout and an innovative design, your spare room could be transformed into a practical and functional space, with the potential for every day use. If you have a spare room in your house, then it’s best to try and use the space to your advantage. Just because it had an extra bed set up when you bought the house, it doesn’t mean it has to stay that way. Your spare room could be redesigned into a number of different spaces, including a study, games room, or play area for your children. Consider your home requirements and work from there. One of the biggest struggles homeowners face is finding enough room to store all their belongings. When cupboards and storage space is limited, you may find that clutter begins to accumulate and your spare room often becomes a dumping ground for anything you don’t know where to keep. The spare room is still a good place to store things, but the best way to do this is by using space saving storage solutions, so the room can still be used for other things. Consider putting drawers under the spare bed, and fitted cupboards into the walls of the room. You can also use door hangings and furniture that double up as efficient storage facilities. The majority of homeowners want to keep their spare bedroom, while also making the most of the space they have available. A room that can be used on a day to basis, but still has the space available for guests is the perfect solution. The easiest way to approach a multifunctional spare room is by buying either a sofa bed or a fold down bed. This way you can still fit a desk and chair into the room, allowing the space to be used as an office and a guest room when needed. Under the government’s “Rent a Room” scheme, you could earn up to £4,250 tax-free by getting a lodger in your home. This means that you can avoid filling in any tedious tax forms by renting out your spare room for a maximum of £354 a month. There are lots of different ways to rent out your room, and sites like Airbnb are now more popular than ever. If you want a permanent lodger that doesn’t spend their whole week living at your house, then sites like mondaytofriday.com can help you find commuters who simply need somewhere to stay during the week. 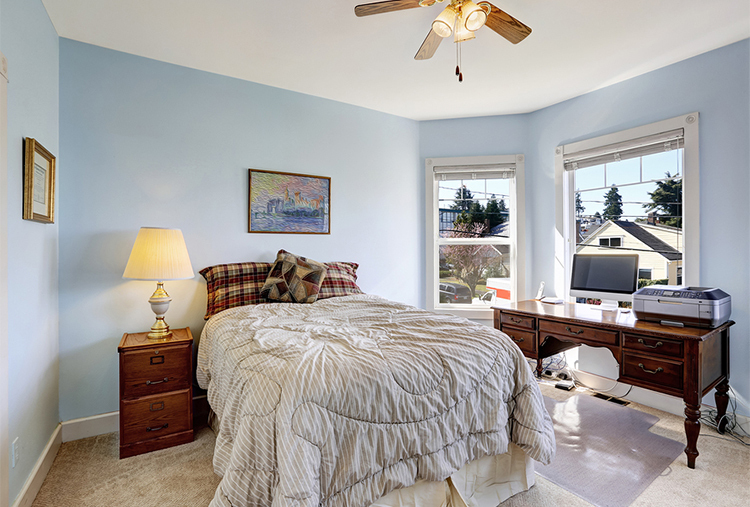 If you can retain your spare room as a bedroom while still making the most of the space, then it will benefit you when you come to selling up - an extra bedroom will add around 10% onto the value of your house. Leaving your spare room to look after itself is both a waste of space and money. So what are you waiting for? Sit down and put a plan in place that will allow you to transform your extra room into the functional space you’ve always wanted.